One of my favorite habits that I started at the end of this year was writing in a gratitude journal. I had heard a lot about the benefits but hadn’t bothered to try it myself. However, when I started to feel like I was focusing too much of my attention on the negative things in life, I realized that I needed to shift my perspective and put my energy into thinking about all of the positive things happening in my life. For me, this meant starting to write in a gratitude journal everyday. 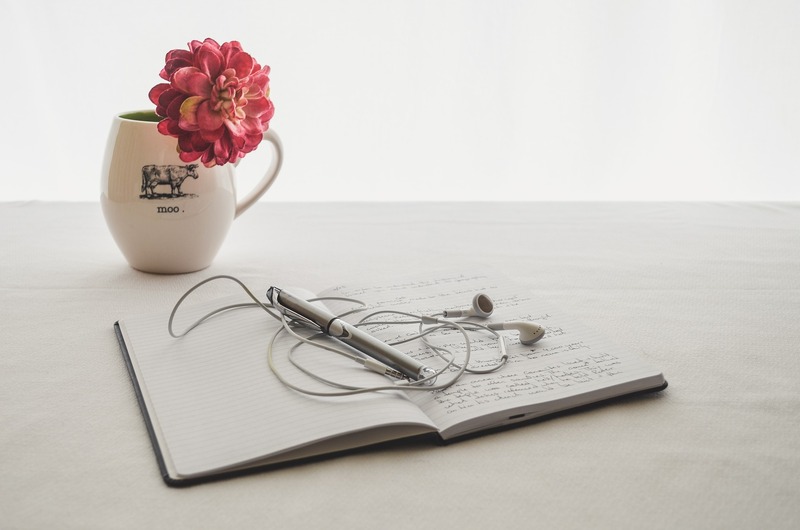 Stepmoms, if you notice that you’re focusing on the negative aspect of stepfamily life, like issues with your stepkids or their mom, it might be a good time to start your own gratitude journal. Find a notebook or a journal for your gratitude journal. It doesn’t have to be fancy, but if having a fancy one motivates you to write, by all means, go out and buy one! Commit to a time period. How many days will you be writing in your gratitude journal? You’ll be more likely to follow through on it if you break it down into something manageable, such as 30 days or 21 days. You can always extend the time after you get started, but the key is (1) to get started and (2) to make it a habit. Have an accountability partner. Ask a friend, your mom, or your sister to join you in committing to write in a gratitude journal. You can ask them to hold you accountable for writing in it every day. I told my stepdaughter about my gratitude journal, and she wanted to start writing in one too, so we’ve been writing in our gratitude journals before bedtime. Sometimes we share what we wrote down with each other or with my husband. It’s been a really nice nightly ritual for us! Write down 3 things you are grateful for and why you are grateful for them every single day. At the end of the day, think back over your day and write down those 3 things or people or events that you are grateful for and explain why you are grateful for them. It can be as simple as: I am grateful for_______ because _____________________. Here’s an example: I am grateful for Romeo (my dog) because he’s always so happy to see me when I get home. He cheers me up! Read back over what you wrote and allow yourself to feel grateful for the things, people, or events that you wrote down. Even if you have a really bad day, you’ll see that you can still find 3 things to be grateful for each day. This forces you to take your mind off your stressful commute or your bad day at work and focus on those things that brighten your life. We all have a finite amount of precious energy to expend each day. The beautiful part is that we get to choose how we will expend that energy. Why not use that energy to focus on all of the positive things that you’re grateful for in your life? Previous Post Make a “Done” List!